 On August 9th, 2018 the Meridian-Kessler Neighborhood Association held their monthly Board Meeting at The National located at 215 E. 38th Street. MKNA Executive Director Chelsea Marburger and MKNA Infrastructure Committee Jerrey Finnegan fielded questions online leading up to the meeting and filtered them to insure relevance and prevent duplication as it related to the current and future traffic calming measures being implemented on Central Avenue. The meeting included representatives from the Indianapolis Department of Public Works, the Indianapolis Police Department as well as as City County Councillors Colleen Fanning and Joe Simpson. Below is a recording of that conversation. DPW anticipates activating the temporary traffic signals on Central at 42nd, 49th, 52nd, 54th, 56th and 57th, and converting the 4-way stops at 40th and 58th to 2-way stops on or shortly after February 4, 2019. The following is a complete list of questions submitted via the online form that have been not been altered in any way. The complete list of questions were submitted to DPW & IMPD for additional explanation. *Legitimate, specific questions that were not answered in the recording above have been answered via DPW and can be found below. Questions without explicit answers below were likely asked and answered in the recording above or were comments rather than questions. Q: How will children be kept safe as they walk to school? A main draw of this location is the walkability. How can we not disrupt that? How will the business along College Avenue survive with loss of parking and people avoiding College Ave.? Q: I would like to ask DPW not to eliminate any 4 way stop signs along Central, even temporarily. Central is an important pedestrian and biking route, and it is not appropriate to encourage traffic to move faster along this route. It will also be impossible to cross central going east or west without the four way stops. It is already dangerous enough. Q: The white stripes were painted as dashed lines instead of solid lines. Therefore, the City’s plan is to use Central as a rush hour corridor with 2 lanes running south in the morning and 2 lanes running north in the evening. There will be no parking in the right southbound lane in the morning and no parking in the right northbound lane in the evening. My question is when will those no parking signs be installed? DPW Answer: The pavement markings were merely replaced in the same pattern as the exiting markings. In retrospect, they should have been a solid line. There is no plan to Central as a rush hour corridor. Q: 1. I doubt they are temporary 2. Why remove 4 ways stops? 3. I’ve lived just north of 56th on Central for 20 years. W/O the 4 way stop the NB traffic on Central absolutely blows through the intersection. A speed table north of the intersection does no good. A pedestrian or motorist will be seriously injured or killed if the 4 way stops are removed. 4. You’re already going to absolutely ruin College Ave and the thriving businesses located there. Don’t ruin Central Ave and the residences schools and churches located there as well. All for federal dollars. Shame on you. Q: What is being planned to control and slow traffic going east/west on 57th St between IHM and CFI 84 meaning between Broadway St and Pennsylvania? DPW Answer: Nothing is currently planned beyond IHM’s city-permitted temporary closures that restricts traffic before and after the school day. Q: Did you examine all the accident history for the 4 way stops that are being converted back to 2 way stops? If so, based on that data how many more accidents per year can we expect at those intersections? What is being done or planned for controlling speed and to reduce accidents at 46th and Central Ave adjacent to CFI 70? DPW Answer: Only 40th & 58th will be temporarily converted to two-way stops. 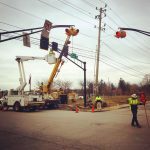 DPW does have the ability to not only pull historic crash data, but also monitor intersections for crashes. 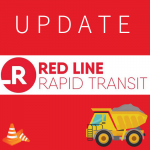 While DPW does not anticipate having to make any additional modifications to 40th/Central and 58th/Central, we will have the ability to react to situations that may arise during construction along College. The changes should be in effect for less than a year, so we don’t have an answer for the second portion of the question. We don’t have a plan specifically for 46th & Central; speeding would be an enforcement issue. Q: 1. Please define “platoon traffic” 2. If to “platoon traffic” means to synchronize stop lights, what plans are in place to enforce speed limits? 3. Why are the “Speed Tables” placed to the North of intersections? 4. Will DPW be placing signage along College and/or other streets diverting traffic to Central Ave? 5. Why would it cost an additional $42k to widen Speed Tables when it only cost $21k to install initially? 6. Does DPW anticipate drivers will change their routine and continue down Central Avenue once construction is complete? 7. What is being done to encourage drivers to use alternative routes (Keystone or Meridian) that do not include residential neighborhoods? 8. How does encouraging heavy traffic flow to divert down a residential street with 4 schools and 7 churches keep our children, our neighbors, and our community safe? 9. When will common sense finally prevail? 10. What alternative options are there for 40th, 56th, 58th as removing these stop signs would be irresponsible? DPW Answer: 1. Traffic moves through in a pack with gaps created by red signals. 2. The signals will be synchronized. IMPD is responsible for enforcement of signals, signs, speed limits, etc. – not DPW. 3. They are north of some and south of others. They are intended to be spaced between signals to cal traffic speed. 4. That is not part of our plan. The diversion signage sends traffic to Meridian Street. 5. It didn’t. There was an arithmetic error communicated to the neighborhood by DPW. 6. No. Since we will remove the traffic signals and restore 4-way stops, we anticipate that drivers will abandon Central and seek alternative routes. 7. Diversion signage in partnership with Red Line Construction signage. 8. Its is not an encouragement, but the attempt to control the traffic that DPW believes will descend upon Central when College gets jammed during construction. Q: I heard several years ago that neighbors on New Jersey north of Kessler requested speed humps but were told they needed buy in from neighbors since snow plows could not operate in speed humps were installed. Will snow plows be able to operate on Central Ave. as long as there are speed tables installed? DPW Answer: It is DPW’s understanding that these temporary, plastic speed tables have been designed to accommodate snow plow operations. Q: Why does DPW insist on removing the 4-way stop signs at 40th, 56th and 58th Streets? Q: When will previously promised sidewalk improvements on Central finally be complete? Can DPW complete improvements previously planned under SRTS done before construction begins on College, so pedestrians can safely navigate sidewalks without using the street? DPW Answer: Construction is current planned for 2020. Q: Why is Central striped as a 4-lane road, with two travel lanes in each direction, when the outside lanes are generally understood to be for parking? Does DPW intend to use all 4 lanes as travel lanes? If not, will DPW redo striping to have solid white lines (or otherwise per MUTCD) separating travel lanes from parking lanes? Q: If 4-way stops at 40th, 56th and 58th Streets must be removed, will DPW install proper pavement markings, signage and/or flashing lights for crosswalks at these intersections to allow pedestrians right of way and safer street crossings? Q: Will DPW consider temporarily or permanently reducing the speed limit on Central north of 38th Street? Q: What resources will IMPD commit to specifically patrolling Central and other potential neighborhood streets during construction? Q: Can DPW re-engage the consultant(s) who performed the previous Safe Routes to Schools Studies for these Central Ave Schools to revisit these studies in light of the proposed Red Line temporary maintenance of traffic plan? Q: When do you plan to remove them? Q: Are the stop signs at 42nd and Central (by Joan of Arc) going to remain in place during construction of the Red Line? To whom should we address our complaints? C: PLEASE leave the speed table south of 44th and Central! We live about 50ft north of it and now that there are poles extending into the parking lane, we have noticed a significant change in how fast cars drive on our street. Since there are four blocks between the light at 46th and the stop sign at 42nd, cars were able to speed up much faster than the 35mph limit. This has been an improvement. The “noise” some neighbors have mentioned is nothing compared to the threat of drivers accelerating over 40mph near a school zone. Q: With increased traffic, snow removal becomes even more important. How is that going to be accomplished? Q: Who is accountable if there is personal or property damage because of the traffic changes? Q: 1. When making the changes to the 4 way stops, were the 4 schools and over 1400 children who attend these schools safety taken into consideration? If so, please present the supporting reports and facts. 2. Prior to making the changes to the 4 way stops, did someone from DPW contact and meet with the 4 school principals to discuss the changes? If so, what was the response from each principal? 3. When making changes to the 4 way stops, was the safety to walkers, runners and cyclists taken into consideration? Was a study done showing the actual number of walkers, runners and cyclists that use Central Ave on a weekly basis? If so, please present the supporting reports and facts. 4. As of Tuesday, 372 MK neighbors or parents with children attending one of the 4 schools, signed a petition against making temporary changes to the existing 4 way stops. How many MK residents are in favor of making changes to the existing 4 way stops? Please present the supporting reports and facts. Q: Will you provide a crossing guard at 46th and central? Q: A normal stop light has been installed at the corner of 57th & Central, replacing the blinking 4-way stop. While this is not functioning as a normal traffic stop yet, when will it begin functioning as a normal stop light? For how long (temporarily or permanent)? Will the 4-way stop be restored after the College Ave. corridor construction is complete? What is the plan for traffic heading west on 57th St. towards Central (the school zone)? I assume that traffic will be able to flow freely on 57th towards Washington Blvd. passing between the schools, which is not only different that it currently flows but more dangerous for children. Q: Why is it that traffic will be re-routed off of College to 57th St, encouraging motorists to utilize Central/Washington/Penn, vs. Kessler/Keystone/Meridian? And what traffic calming measures are being utilized for Washington and Penn? Traffic will not just divert to Central. Is DPW prepared to quickly address this if traffic on Washington and Penn becomes an issue once construction begins? Q: What is the objective that you hope to achieve by removing 4-way stops, and installing speed bumps? Frankly, that’s the sort of solution an engineer from “Idiocracy” would propose. Regardless, it’s essential that every intersection along Central during the construction period have full time crossing guards during the school year, paid for by the City. Until that happens, you are complicit in a disaster. Q: What data and/or rationale was used to decide to change the intersection of 56th and Central from a four-way stop to a two-way stop? What historical accident data from this intersection (if any) was considered in the evaluation process? Q: 1. Why should traffic be encouraged to use Central Avenue instead of leaving traffic restrictions in place on Central Avenue, which would seem to encourage traffic to use the arterial streets of Meridian and Keystone? 2. Are there resurfacing plans in place to resurface Central, after Redline construction is complete, to repair the inevitable heavy/overweight truck damage to the road surface? Q: 1. 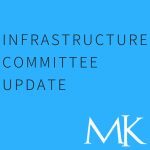 Given the extremely short notice, many MK neighbors are unable to attend the meeting tonight due to prior commitments. Over 370 MK neighbors have signed the petition demanding all 4 way stops remain. All understand these intersections are dangerous and many have first hand experience, witnessing serious accidents prior to the stops conversion from 2 way to 4 way. Has DPW taken time to read the petition and comments? Prior to making the decision to convert the 4 way stops back to 2 way, did DPW contact residents who live on Central Ave to gather first hand information of the dangers at these intersections? If so, how many neighbors did DPW interview? Do you have documented and signed reports from these neighbors supporting the conversion of the 4 way stop signs? Do these reports include the names & addresses of the neighbors DPW spoke to? 2. How many streets are there in Indianapolis that mirror Central Ave from Kessler Blvd to 38th Street? (A residential street, with 4 schools/approximately 1400 grade school children in attendance and 7 active churches) Please provide the name and location of the streets that mirror Central Ave. Please provide documentation showing the number of schools and churches on these particular streets. Please provide the number of students and church members who walk to their church or school on a weekly basis. Please provide the exact enrollment for these schools. Q: Please explain the logic behind adding speed tables and changing four-way stops into 2-ways vs. leaving it the way it is now. Even with the 4-way at Central and 40th I’m worried about letting my kids walk to school because of the speeding drivers on the southern end of Central in Meridian Kessler and those who blow through east-west stop signs regularly. Q: Can DPW or the department of public safety add crossing guards or officers to direct traffic in those four hotspot areas for the duration of the Red Line project on College? Why or why not? Q: What is the current estimated time frame to remove the stop signs at 58th & 56th? Q: Most pedestrians, traffic, children, bikers etc travel north and southbound on Central. The stop signs being removed direct north and southbound traffic. In my mind, given that most traffic and pedestrians travel the same way, the removal of the stop signs will NOT negatively impact safety, especially with the additions of the speed tables. Is this a correct assumption? Q: I’m on Staff at Immaculate Heart of Mary Catholic School (IHM) and a lifelong MKNA resident, 51 years. IHM has been focused on the safe arrival and dismissal of our 400+ students, obtaining 3 Federal Grants from Safe Routes to School since 2009. The increased traffic during our morning arrival time is hazardous, the increased amount of construction vehicles, delivery trucks, etc, has tripled, and folks that travel along 57th from Central are speeding quickly to the next corner, Washington Blvd, where there are even more students crossing. 75% of our students walk. I have emailed the major players at Indygov since May, asking for assistance at our 57th Street intersections during our arrival & dismissal. I have proposed temporarily closing our 1 block stretch of 57th between Central & Washington from 7:40-7:55 am and again from 3:05-3:20 each day with attended cones that can be removed for the IPS busses, emergency vehicles, etc. The only response I have received was from IMPD, who had a motorcycle there the next 2 days in May. I filled out a Right of Way Permit.The fee for us to close this stretch for 30 minutes a day is $84/day, which is not really feasible for us. I have asked them for advice/direction with no reply. My last email was sent last Wednesday and I told them I was just going to do this. Still no reply. I plan on attending tonight. Thank you. Q: 1) Will they have police in place to issue tickets to people who speed? This is a perfect way to change behavior and generate revenue for the neighborhood. 2) how are they increasing the awareness of the changes? 3) how are they going to prevent the traffic shifting to other side-streets (Broadway) because drivers are impatient with going thru school zones at certain times of the day? Q: What alternative traffic calming tools are being used to slow traffic near schools? As currently designed, there will be no four way stop between 54th and Kessler, which will likely result is considerably faster traffic near several schools. Lane narrowing, temporary curb bump outs, and other creative traffic calming may be very effective. 2) could long term central design include buffered bike lanes? Q: 1. How many cars travel College Avenue between Kessler Ave and 38th St daily? 2. What percentage of these drivers do you estimate using Central Avenue as an alternative route? DPW documents online describe Central as “Central Ave Corridor Route” for exiting downtown. Please explain how this plan includes Meridian Kessler. FYI ..I live at 57th and New jersey and use the stop sign at 58th and central many times a day as does my 12 year old daughter. Q: What actions will DPW take regarding traffic flow on Penn/Washington as a result of the College Ave. and Central Ave. construction and changes? We anticipate that there will be a trickle effect over to the other streets as well. Additionally the speed limit on Penn/Washington is 30 MPH and it is 35 on Meridian and Central. Cars race from 38th to 43rd far in excess of the 30 MPH limit already before the construction. Q: I would like to know what the long-term plan is for traffic flow once the Red Line is complete. College is so narrow and cars park on it, it seems the Red Line is going to cause a bunch of back up on Kessler and College, where is traffic going to go when it is complete? Q: For all those attending tonight’s meeting, please ask, by a show of hands, how many people support temporary removal of the 4 way stops on Central Ave? By a show of hands how many people think removal of any of the 4 way stops on Central Ave is a reckless decision and all 4 way stops should remain in place, not be moved even temporarily? Q: Will the Central Ave be truly temporary, and as the Red Line construction on College Av progresses Southward, will the interventions of Central be removed at the same pace? I am acutely concerned because my address is in the 5800 block of Central, and the excess Central Av traffic, and the accessibility of my driveway, the only entrance to my home. Q: why not direct traffic on to penn that has businesses and is use to the traffic instead of central that has four schools within a 2 mile stretch? Q: Why removing 4 way stops at intersections like 40th and central, when neighbors have worked hard to get installed and four schools within walking distance? Q: I oppose converting the 4 way stops at 58 & 56 to two way. How will this benefit the children’s safety? Although temporary, this will further endanger people crossing Central once converted back to 4 way as Central drivers will become accustomed to not stopping at these intersections. I know, as I was hit shortly after 58/Central was converted to a 4 way several years ago. Why recreate this confusion? Q: How has historic data regarding safety (pedestrians, car accidents, yard and home damage) and traffic changes (specifically conversion of two way stops to four ways stops at 40th and Central and 56th and Central) factored into decisions to conver these back to two way stops during redline construction? If the plan remains for 40th and Central, has there been consideration of a speed table to placed on the south side of the intersection to help with speed of traffic traveling north bound from 38th street? DPW has reported crew are observing traffic patterns at these stops, is there variation in time of day of these observations? Q: Have you considered adding stop signs on broadway and 42nd where the new Sjoa preschool is? It’s currently a 2way stop but Children will be crossing there without a stop sign. I’m concerned about the increased traffic leaving college to go down central and utilizing 42nd street. Please keep all other stop signs. What good will it do to remove them? Q: Why would you put less stops and speed up traffic in school zones? Q: Once the Red Line construction is completed, will Central Avenue still see an increase in traffic vis a vis current traffic levels? Q: Nothing really to ask DPW. I live on Carrollton down by 46th Street, and have been waiting for the Red Line to come about for several years now. Looking forward to it. What I’d like to ask the residents of MK though is “Why no quit your bitching?” This service serves many more than just you with your “not in my backyard attitude”. If you want to act like you live in a burb, move to a suburb. Til then, you live in an area between where a slews of residents live and work. You’re in a thoroughfare. Please publish this to the other MK residents. Thanks.